Most of us are handed a toothbrush at a young age and have to figure it out. 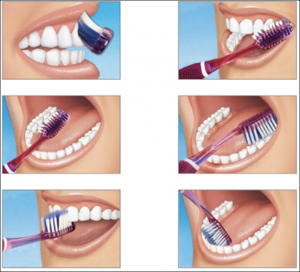 Here are some tips for optimal oral hygiene. To keep your mouth healthy, you need to brush twice a day. Plus clean between your teeth with floss or interdental brushes. Children will need help with cleaning until they are about nine years old as younger children lack the manual dexterity for optimal brushing. I recommend a soft toothbrush as plaque only has a ‘ double cream’ consistency. Therefore, a soft toothbrush can easily remove this. Using a soft brush also allows you to get up to the gum margin without causing gum tenderness. Using a hard toothbrush or applying pressure onto the gums can also lead to tooth wear. I see many patients with wear and recession in the roots of their teeth from brushing overly hard. Electric toothbrushes are excellent for good cleaning. You can get the same result with a manual toothbrush if you are thorough with your cleaning but an electric toothbrush does the work for you. I would choose a rechargeable toothbrush over a battery powered one. There are two types of cleaning movement’s available these are oscillating and vibrating (or sonic), a study has shown them to be very close in efficiency, so it is a personal preference. I would also make sure it has a timer included. 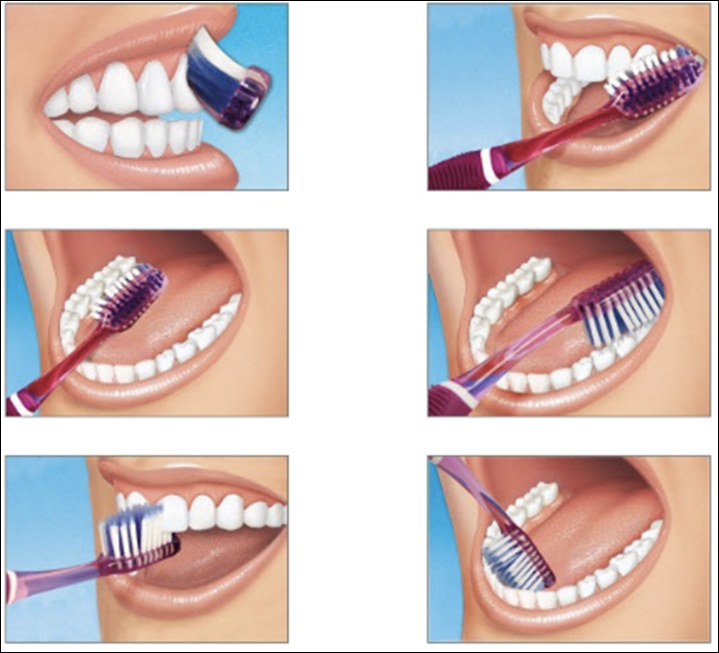 If you brush too hard, then find one that has a pressure sensor included. Use a fluoride toothpaste as this has been proven to prevent cavities and strengthen enamel. You only need a pea size blob on your toothbrush and just a smear for children under three. Once you have finished cleaning, you can spit excess toothpaste out but don’t rinse! Try and avoid eating or drinking for 30 minutes after brushing to let the fluoride sit on your teeth and do its work. Brushing technique- Firstly, tilt your brush at a 45-degree angle and aim the bristles at the gum margin. Use small circulation motions to brush up and down the tooth (let the brush do the work for you with an electric brush). Do the outside surface of all your teeth and then the inside surface of all your teeth. Then move to the biting surfaces of your teeth, place the bristles on top of the occlusal surfaces and brush back and forth. You should brush for a full 2 minutes. There are a lot of free apps to time your brushing and some fun ones for the kids to use as well.